As the roofing industry continues to grow, so too does the number of large-scale trade shows for architects, builders, contractors, engineers and remodelers. 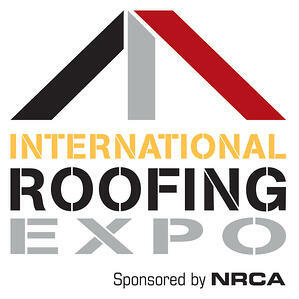 The 2019 International Roofing Expo in Nashville, Tennessee is no exception. With over 1,000 exhibitors expected, you won’t want to miss out on the opportunity to connect with long-time industry leaders. To prepare you for the trade show, we took a look at the schedule and spotlighted a few must-see sessions. Self-adhered membranes are becoming more popular in commercial and residential roofing to improve installation productivity. For this reason, we’re excited to attend Benefits of Using Self-Adhered Membranes and Vapor Barriers in the Commercial Roofing Industry. Presented by David Martiny from Firestone Building Products (@Firestone BPCo), this session will discuss the history of self-adhered membranes. If you’re interested in understanding the contractor benefits, and how to optimize installation time, temperature and humidity range, this is the session for you. There are several distinct themes residential and commercial roofing companies should keep an eye on in the new year, including design. We’re interested in hearing from Derek Nickum at Johns Manville Roofing Systems (@JohnsManville) on Roof Assembly Selection and Design Trends for 2019. If you’re looking for ways to expand your service offerings, this is the session for you. In today’s connected world, roofers are finding plenty of opportunities to embrace technology innovation. If you’re interested in identifying what technologies progressive roofers are using to help their business, this is the session for you. All the roofing tools you rely on from manufacturers you trust. A huge inventory of generators, roof drains, hand tools and much more. In the meantime, we invite you to schedule an on-site meeting with a Hy-Tech Products roofing expert.